This is a very nice over wintered colony taken in March. Lots of bees. This weekend will be a perfect time for the alive or dead check on overwintered colonies. The snow depth is mostly non existent so getting to colonies should be easy. The forecast is for a good snow, maybe on this coming Tuesday. So time to check this weekend. Check now while there is time to order replacement packages. 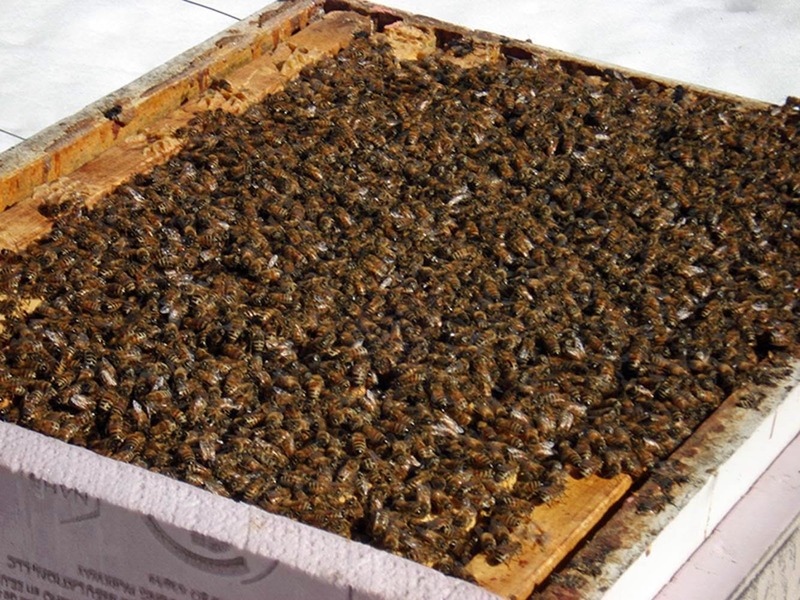 When checking colonies, if you don't see bees on top of the top brood box, check down deep. The bees may have not moved up yet. This can happen on colonies that are heavy with honey. Don't assume the bees are dead until you see a dead cluster. I have even had in the past, is to tilt back the top box to see if any bees are under there. It is always a pleasant surprise to see a large cluster under the top box. Check food stores. The queens should be laying now and honey consumption will increase with the new brood coming on. Still a little early to feed. But if on inspection there are bees, but their food is almost gone, better to feed syrup than to lose the colony. A good colony has around four frames of bees. A Carniolan hive if it has three frames of bees right now should be ok. If the cluster of bees is two frames of bees or less, consider it dead and get a package to replace it. If you have a five frame nuc box you could put the weak hive in there and let it build up and add it to a hive later in the season. Pollen patties can go on in about two weeks. I did a talk about 5 frame nuc's at the Honeybee Club of Stillwater . The bee sales are moving along at a fast pace. This current blast of cold weather will put many colonies over the edge. This cold spell looks to last thru Thursday. Beekeepers should look in their colonies Friday or Saturday to see if they have survived. We have sold 75% of the 2 lb packages and 60% of the 3 lb packages so far. Anyone needing bees should not put off ordering very much longer. Gain all the information you need to keep bees in cold climates. 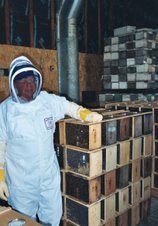 Explore two years of beekeeping with veteran beekeeper and entomologist Dan Palmer, from purchasing and assembling equipment and obtaining bees to producing and selling honey. Geared toward beginning beekeepers. Reservations required by February 26. Register online at www.threeriversparkdistrict.org <http://www.threeriversparkdistrict.org> or call 763-694-2001. $55/two sessions. Ages: 12+.